If you are looking to get just one CD release from Patto, this is it! 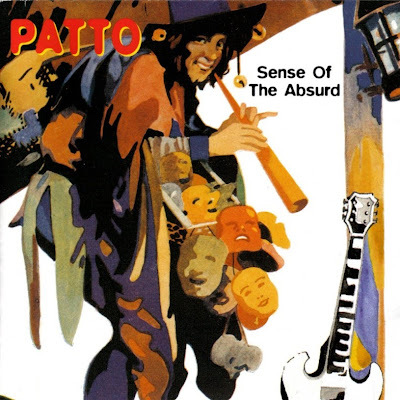 "Sense of the Absurd" is a repackaging of Patto's first two albums, "Patto" (1970) and "Hold Your Fire" (1971). The original master tapes were used, so the albums sound better here than on the Repertoire CD releases of the individual albums. Plus there is more than 30 minutes of previously unreleased bonus tracks! No explanation or credit is given for the new cover artwork pictured at the top of this page. 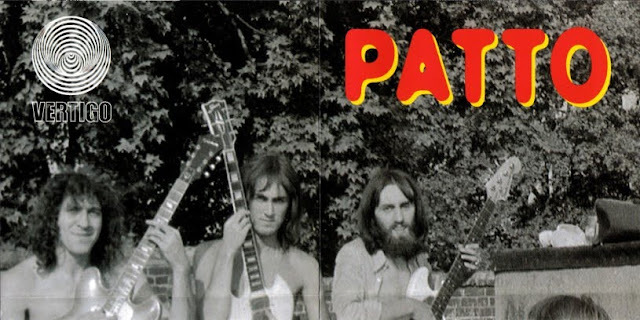 The booklet folds out into a nice 6-panel sheet with photos of Patto/Timebox and liner notes from Richard Lane.